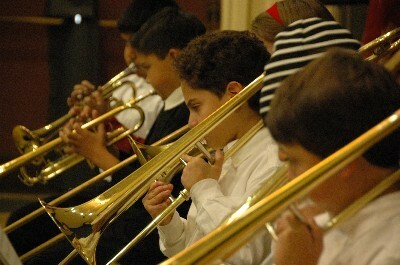 The major goal of the Balboa Orchestra experience is to provide a solid base of musical skills and techniques, while providing an opportunity for students to have fun making music with others. 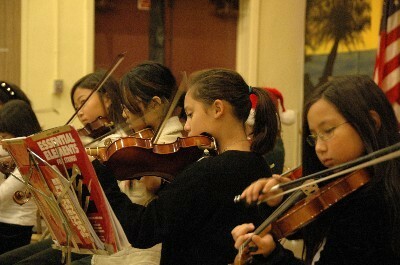 Each instrument class meets once a week for approximately 40 minutes during school hours. Beginning classes are designed for third and fourth grade students who have had no previous training, and continuing instruction is offered for fourth and fifth grade students who passed the beginning level class the previous year. Orchestra applications are sent home at the beginning of each school year and students are selected by the end of September. In order to maintain the quality of education to all students, class sizes will be limited and not all students may be accepted into the program. Success in music is largely determined by the enjoyment of music, desire to succeed, the motivation to practice consistently, parental support and quality instruction.